“I've been going here for over two years and have always had a great experience.This office is very chic and modern. They must have had their patients in mind when building this location. Every room is equipt with a flat screen TV and headset so that you can watch your favorite show while you get your teeth worked on. This really helps make any procedure pass quickly because the last thing anyone wants to hear is the sound of the drill. Another thing I enjoy is that their chairs have little massagers that will help sooth and calm you through your procedure.The receptionist here is very knowledgeable and will take the time to explain what is and isn't covered by your insurance.I love that they have always been punctual. You'll never sit around and wait past your appointment time.Dr. Aaron Breaux is gentle and will make every procedure as close to painless as possible.” - Sandra L.
When you visit THE Smile Lounge, you are our most important patient. Dr. Breaux and our team focus on you, your oral health needs, and your comfort. We appreciate the trust you place in us to help you achieve excellent oral health, and our team works hard to continue to earn that trust every time you visit. You may have had dental experiences in the past where you felt like you’re just another number on a chart. We can assure you that we always focus on your concerns, and take the time to answer your questions fully. We know that an informed patient is a healthy patient, and we take the time to talk to you about why a specific treatment is important and how it will benefit your oral health. If you do encounter an accessibility issue and the recommendations above do not meet your individual needs, we invite you to contact our office at (661) 588-8403 for assistance. Above all, we are committed to offering and delivering exceptional, comprehensive dental care to each and every one of our clients. 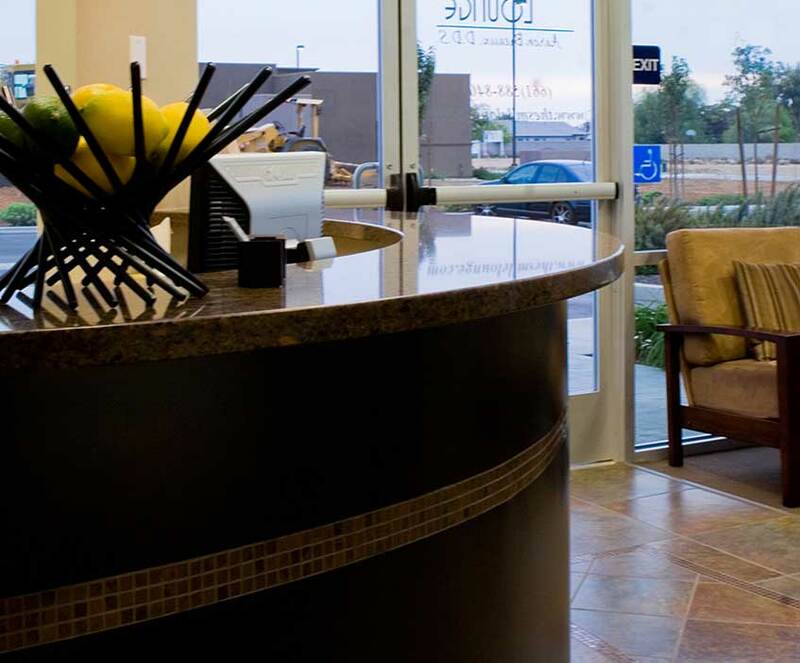 Through a unique mix of ultra-contemporary office design elements; the finest dental technologies, materials, and treatments; and a strong emphasis on exemplary customer service, it is our mission to create a practice environment which fosters the highest level of patient comfort safety, and overall satisfaction. We strive to protect the health of our patients and add beauty to their smiles. We will not be satisfied until we have perfected THE ultimate experience - one that includes Five Star service, extraordinary dentistry and makes a positive, lasting impression on the lives of our patients.